Today, on behalf of the Board of Directors, I’m very excited to make a major announcement regarding Triangle Fraternity at Iowa State. As you know, as the result of a huge amount of effort, we have successfully risen from our disbanding into a thriving chapter. In fact, this March, we were awarded our charter in a celebration attended by the Iowa State University President and Dean of Engineering. We have an exceptional cadre of young men in the chapter who continue to excel in their academics, most importantly, but also building the chapter and serving the community. We all should be very proud of them. But lurking in the background of all of this success, was a very scary threat. After our lease with SAE expired in one more academic year, we might not have a place to live and our actives would be scattered to university housing and off-campus living. A very unappealing and possibly terminal scenario. For two years, we have been searching for a house to purchase, including notifying ISU Greek Affairs and engaging a realtor. During that period, we’ve had a total of zero candidate properties to consider. Scary. A short time ago, I received a call from the President of the Sigma Chi Alumni Association. 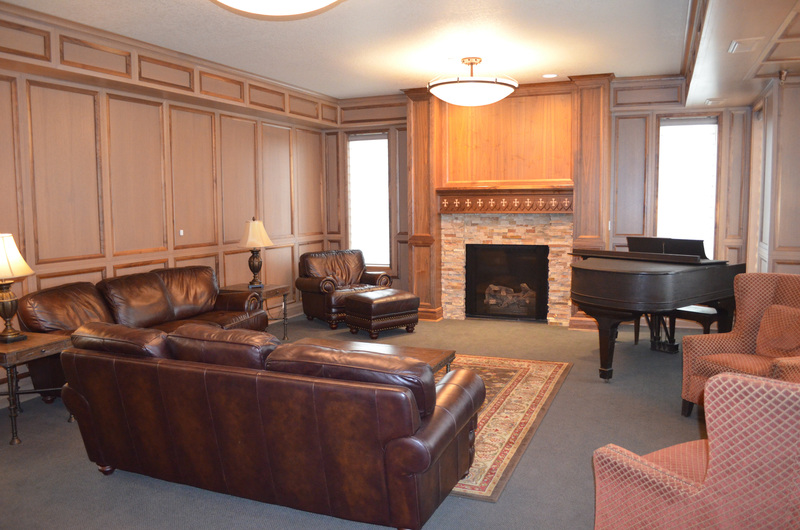 He indicated ISU was about to suspend the chapter and the alumni had decided to sell the chapter house. In the interim period, we’ve amassed so many stories, we can’t wait to have a ‘pass the gavel’ or a classic Triangle BS session. But for now, I’ll cut to the punchline – late last week we executed an agreement to purchase the Sigma Chi chapter house! 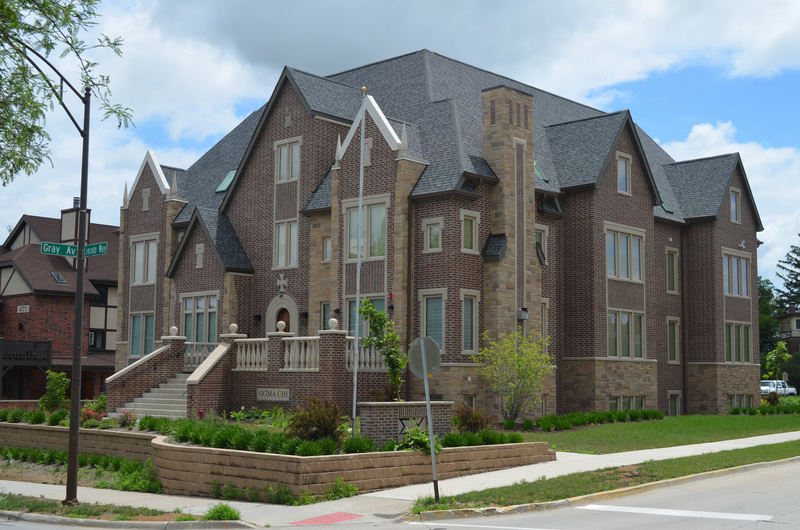 This house is far and away the crown jewel of all fraternity and sorority houses at ISU. I should quiz you on your pledge education and ask where the Sigma Chi house is located, but I might get the reply, “This lowly pledge is deeply embarrassed and infinitely humiliated …” – so I’ll tell you. It is one of the five fraternity houses on Lincoln Way adjacent the southeast part of campus – the western-most house. The visibility Triangle will get is incredible. 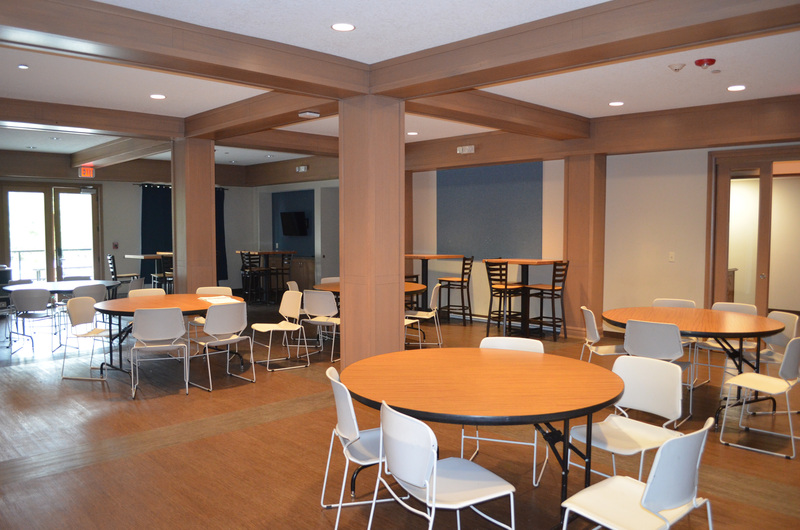 Second, in 2015 Sigma Chi completed a 2-year construction process having razed the previous house and built anew. The house has a rare distinction of being in the heart of Greek-land, but 3 years old. It has state of the art safety, security, HVAC, and more. Very importantly, the rooms are suite-style configurations where two sleeping rooms are adjoined by a common study area and a common bathroom with shower. Today’s youth are not fond of the cold air dorm and community showers arrangement of most fraternities and universities have built suite-style dormitories which appeal to students far more than fraternities. In fact, our plan if we purchased an old house was to renovate it into suite-style. I could go on about positive details of the house, but for this note, I’ll stop and conclude by saying this is a once-in-a-lifetime opportunity – a new, turn-key (furniture and fixtures included), state-of-the-art (safety, security, technology, HVAC, etc) house in the location we desired. The two primary downsides are the size and price (of course, when isn’t price a downside?!). The building houses 55 men. Our planning number was 40 men since chapters much larger struggle to maintain consistent occupancy with quality men. Our plan to mitigate this downside is to make the financials work with 40 men and use the other rooms as study areas. The second downside is the price. Initially Sigma Chi wanted $5.0M, but we settled on $4.6M. That’s $750k-$1M higher than what we’d originally planned, but since these properties rarely change hands, it’s difficult to determine prices in advance. And most houses would have required major improvements – which necessitate significant additional costs as well as costs to live somewhere else during the build, if such a place can be found. We avoid that with this house. Without going into the gory details, to secure the purchase, it was necessary to close and take possession this July. Needless to say, it’s been a massive whirlwind of activity to make this happen. With this timeframe, we didn’t have time for the typical mortgage loan process. However, I’m very pleased to say we have secured short-term funding which will allow us to close – quite an achievement. It’s a combination of donations plus a short-term loan from the Triangle Building and Housing Corporation. After closing and getting the actives moved in before the semester begins, we will begin backfilling the short-term loan. We will secure a mortgage for a portion of the debt and launch a capital campaign to solicit donations. This is truly an extremely fortunate event. Our actions will fully return Triangle to Iowa State – where it belongs. And we will once again have a chapter house to call our home. We’ll provide more information when we have an opportunity to breathe after the closing and move. Please block your calendars and plan to return to ISU for Homecoming 2018, October 27, 2018. We plan to celebrate this momentous achievement and hope you’ll join us!